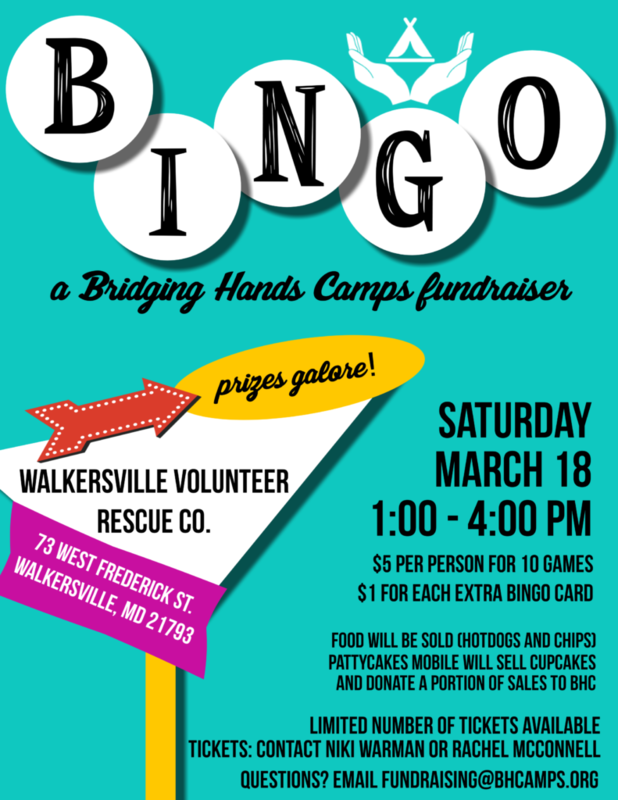 Join us for an afternoon of bingo to raise funds for BHC! Come to Walkersville, MD on Saturday, March 18, from 1 to 4 pm. Kids are welcome to play too! $5 per person for 10 cards, then $1 per extra bingo card. Space is limited – contact Rachel McConnell or Niki Warman to get tickets. Food (Hot dogs and chips) will be sold, and PattyCakes Mobile will sell cupcakes and donate a portion of proceeds to BHC. Questions? Let us know!